Mark Prescott, managing director of the Drewniak Insurance Agency, is providing details on a new charity event in the Detroit metropolitan region that intends to generate community support for the Michigan Humane Society in their efforts to protect and find homes for orphaned animals. 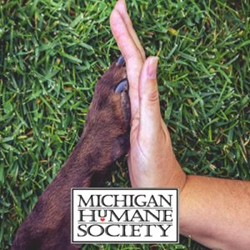 “The Michigan Humane Society cares for more than 100,000 animals every year, and our firm is committed to assisting them in their mission to find homes for neglected and orphaned animals in our area,” said Prescott. To mobilize support, Prescott and his team have initiated a donation system that works on referrals. For each Detroit area resident that refers in a family member or friends to receive a complimentary insurance quote from Drewniak Insurance, a monetary donation will be made by the firm to the Humane Society. More information on the ongoing charity event can be found on the Drewniak Insurance website: http://drewniakagency.com/rewards/. As a Personal Finance Representative in Allen Park, agency owner Mark Prescott knows many local families. His knowledge and understanding of the people in his community ensures that clients of the Drewniak Insurance Agency are provided with an outstanding level of service. Mark and his team look forward to helping families protect the things that are most important – family, home, car and more. The Drewniak Insurance Agency also offers clients a preparation strategy for achieving their financial goals. To contact an expert at the Drewniak Insurance Agency, visit http://drewniakagency.com/ or call (313) 389-1300 in Allen Park or (734) 425-3800 in Westland.